Photo sharing Apps are all the rage and there are lots of them. I'm currently liking / using Instagram and Picplz: which one is best? Picplz.com from Mixed Media Labs (unlike Instagram) is available for iPhone and Android. The "out of App" experience: an easy to find profile on the web. Collections: being able to group other images into collections much like on Flickr but without the limit set by Flickr. View Recent or Interesting images. Lack of filters compared to instagram. Image format: I'd like to be able to keep the original format or crop it down to a square format if I wanted to. No block feature. Though have been pretty quick to deactivate objectionable accounts. Hope that a block feature is added soon. Lot's of filters (though people tend to stick with one or two favorites). Large user-base, though I haven't put the time in to build up any real following (I suspect that's inhibited by my photographic ability and subject matter too). Save image to camera: this is an option on picplz but I've never got it to work and it saves the unfiltered image. The limited "out of App" experience (though there are some apps coming out which are starting to take advantage of the instagram API). Limited "profile" you can now add a url and some short text. Tip: make sure the URL you add is mobile friendly as people will visit it for the most part via the iPhone. Looking onward there are a number of other Apps set to enter the photo sharing space. I'm hoping for an invite to Photovine when the first wave of invites go out so i can check it out. 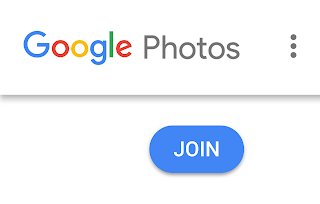 Also since Google Plus arrived on the scene that I've been using the instagram App more for image creation / editing and posting images there, rather than posting through the App itself. So which of these two do I prefer? Ask my head: Picplz. I prefer their wide reaching approach. Ask my heart: instagram. Though you'll need an iPhone to use it.